From the beginning, the people of Junction City have demonstrated a remarkable capacity to accept and absorb newcomers. 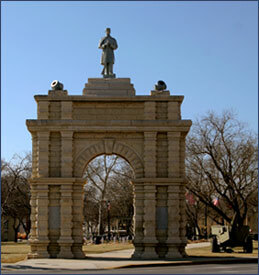 We are a vibrant and thriving community located at the junction of the Republican and Smokey Hill rivers, and at the front door of Fort Riley. A home in one of the beautiful neighborhoods of Junction City puts you just minutes away from top notch outdoor recreation, fine dining, championship golf, shopping and other comforting amenities. Living in Junction City gives you the feel of living in a large city with the ambience of a small community where the term "neighbor" comes alive.